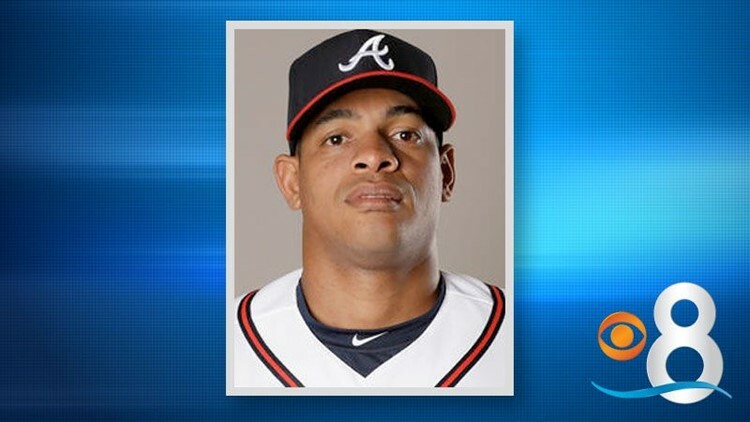 PITTSBURGH (AP) — Hector Olivera was placed on unconditional release waivers by the San Diego Padres, who will release him when he clears waivers later this week and will be responsible for the remainder of the $62.5 million, six-year contract he signed with the Los Angeles Dodgers in early 2015. Olivera, a 31-year-old outfielder and third baseman who did not play a single game for the Padres, hit .245 with two homers and 13 RBIs under the deal, appearing in 30 big league games and getting 98 at-bats. He will wind up receiving a total of $60,707,650. He made his big league debut with the Braves last Sept. 1. While with Atlanta, he was arrested April 13 at a hotel near Washington D.C., and Major League Baseball announced May 27 that he had agreed to an 82-game suspension under the sport's domestic violence policy, a penalty retroactive to April 30. Olivera has a pending court date in Alexandria, Virginia. The suspension cost him $1,792,350 of his $4 million salary this season. Olivera's contract with the Dodgers included a $28 million signing bonus, which they remained responsible for. The final $8.5 million installment is due on Dec. 31. His deal includes salaries of $6 million in 2017, $6.5 million in 2018, $7.5 million in 2019 and $8.5 million in 2020, money San Diego is responsible for. In addition, the Padres agreed to send Atlanta $10.5 million in four installments through July 2019 as part of the July 30 trade that sent Matt Kemp to the Braves. Kemp has a $21.5 million salary this year and is owed the same amount in each of the next three seasons. San Diego designated Olivera for assignment when he came off the restricted list following the suspension. Also Wednesday, the Padres selected the contract of infielder Nick Noonan from Triple-A El Paso and optioned rookie infielder Jose Rondon to the same club. Noonan was expected to join the team for Wednesday night's game against the Pittsburgh Pirates. The 27-year-old hit .321 with four home runs in 87 games for Tucson. Rondon, 22, hit just .136 in seven games.